As political divisions loom large at the global climate talks in Poland, Malawi has echoed least developed countries’ stance that there is no time to waste in the ending negotiations to reduce global warming and increase finance for tackling climate change. On Wednesday, Ministry of Natural Resources, Energy and Mining chief director Bright Kumwembe presented a national statement at the 24th conference of parties (COP24) to the United Nations Framework Convention on Climate Change (UNFCCC) in Katowice City on behalf of line minister Aggrey Massi who has not made the trip. 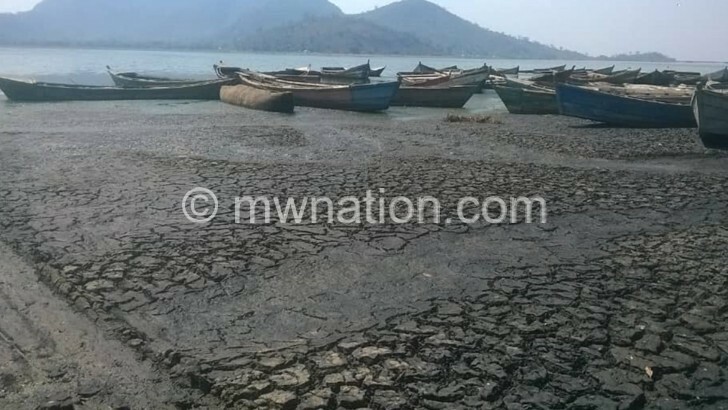 Lake Chilwa dry to cracking clay. The leader of government delegation affirmed the country’s full support for statements made by the chairpersons of the Group of 77 and China, the African Group and Least Developing Countries, which want wealthy nations to increase funding for climate action. He reiterated the groups’ position that the world is ‘justifiably waiting for our decisions with a high degree of impatience” on the modalities, procedures and guidelines for the full implementation of all elements of the Paris Agreement adopted in December 2015. For two weeks, about 30 000 delegates have been meeting in the snowy city, the heartland of Poland’s coal industry, for what the United Nations (UN) General Secretary Antonio Guterres billed the most important COP since world leaders adopted the Paris Agreement. “We cannot fail in Katowice,” he said when he opened the global talks convened to finalise the rulebook for the implementation of the Paris accord. But in his speech on Wednesday, Guterres, who demanded ambitious commitments and action from all parties, revealed that he left the snowy, coal-rich city hopeful but uncertain. This week, over 100 ministers arrived in Katowice to take over political negotiations that were expected to hash out guidelines for reducing emissions of greenhouse gases and global warming on Friday. In his speech, Kumwembe alluded to the post-disaster assessment which estimates that the country requires $500.2 million to recover from the harsh effects of the drought which caused the loss and damage worth about $365.9 million. The challenge to overcome hunger and climate change remains immense as prolonged droughts and fall armyworm attacks have left nearly 3.3 million Malawians on the cusp of hunger as the new growing seasons begins with scanty and delayed rains. For them, the future looks bleak as weather forecasts show the country faces drought and floods.